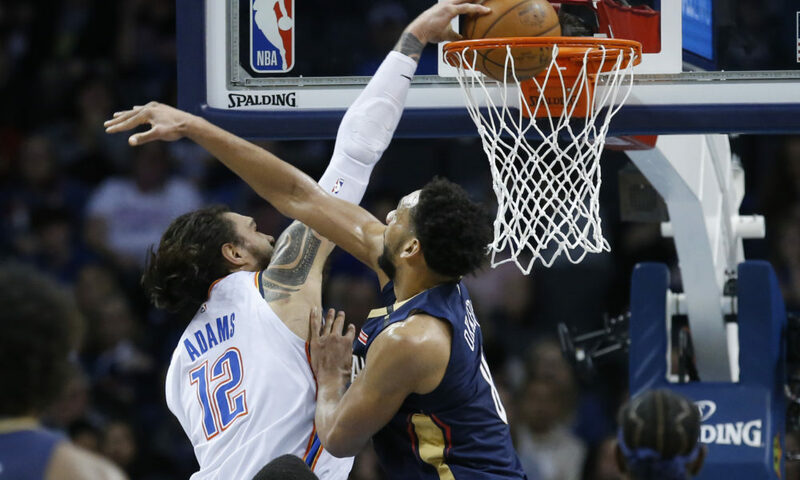 OKLAHOMA CITY, Okla. — As easy as it may be to pass off Oklahoma City’s (30-18) 122-116 win over the more than short-handed New Orleans Pelicans (22-27), reconsider the thinking. Just a little over a week ago in this same building, the Thunder dropped a disappointing game to the Los Angeles Lakers… without LeBron James. On Christmas, Oklahoma City lost to the Houston Rockets — who were playing their second game without star Chris Paul. There is no such thing as an easy win in the NBA. Tonight, the Pelicans were without perennial-MVP candidate Anthony Davis, dealing with a finger injury. E’Twuan Moore and Nikola Mirotic also were out with rest/injury while Julius Randle was a late-scratch for the game. Four of five starters gone. But that didn’t stop the Thunder from starting the game sloppy. Or ending the game sloppy. The low energy was apparent to start the evening. After the Pelicans jumped to a quick 8-4 lead, Donovan called a quick timeout. 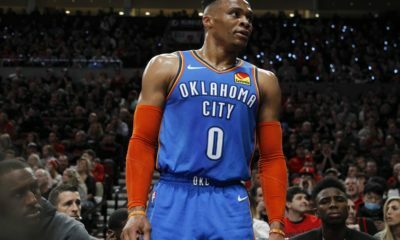 New Orleans bullied the Thunder on the offensive glass in what appeared to be yet another game where Oklahoma City may throw out an underwhelming performance against a lesser opponent. They did. Oklahoma City went on a 12-2 run following the timeout in just over a minute and thirty seconds. From there, the Thunder did exactly what Donovan said — they played well for the next two quarters. They built as much as a 21-point lead during the middle of the game. Russell Westbrook was particularly impressive. With Paul George having a quiet nine points by halftime, Westbrook was the star of the Thunder’s show. The potential All-Star was just two rebounds shy of a triple-double by halftime. 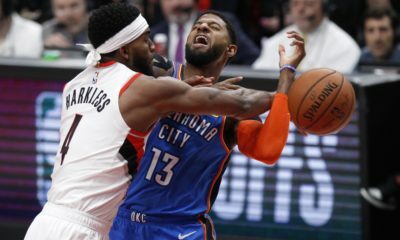 He routinely found a trailing Steven Adams for easy dunks in the lane. 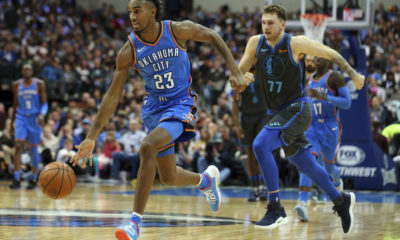 Terrance Ferguson was also the recipient of numerous Westbrook feeds. He just had it tonight. Westbrook finished with his 15th triple-double on the season. 23 points on 9-of-19 shooting, 17 rebounds and 16 assists. Oklahoma City’s point guard was in a groove all evening. “I wake up in a groove,” Westbrook said in the locker room. With an 8-0 run to start the third quarter, as well as outscoring New Orleans 70-54 in the middle quarters, an easy victory where the starters got to sit and watch the end seemed inevitable. Remember the ending the game sloppy? Jrue Holiday made sure the Thunder starters got extra work in. The former UCLA Bruin scored 12 points on 5-of-7 shooting, including two of his four three point attempts. A double-digit lead for the Thunder dwindled down to six points. By then, there was not enough time for the Pelicans to tie or retake the lead. Oklahoma City defended and hit enough timely shots in response to New Orleans’ shot making. When it was over, the Thunder had won their fourth game in a row and moved to 30-18 on the year.